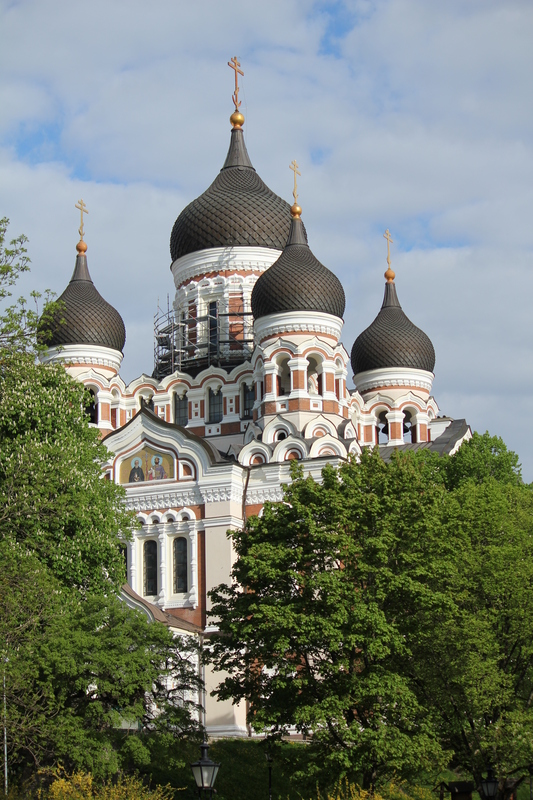 After the whirlwind of St. Petersburg, I was looking forward to a slower pace. Unlike other cruises I’d been on, this was now our 5th port day in a row – my last cruise was a transatlantic cruise on the RCI Vision of the Seas from Brazil to Portugal and had 6 straight “sea days”. Guess I got spoiled from that! 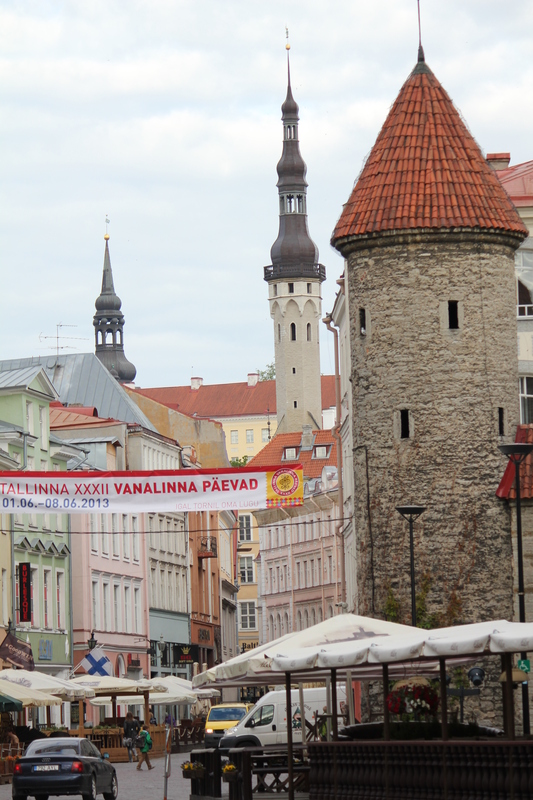 Fortunately, this day we docked in Tallinn, Estonia and I was on my own to explore – no pushing to see all the highlights. 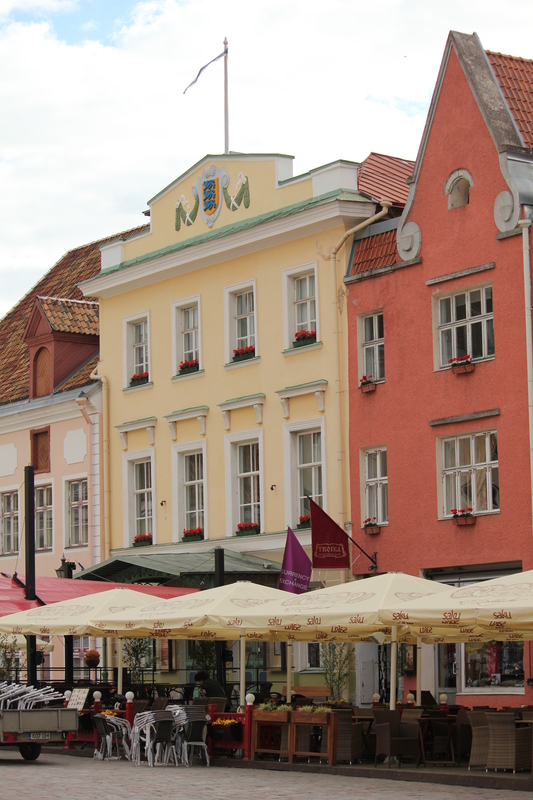 This is a perfectly magical medieval town that will let inspiration move you – if you are open to the experience. 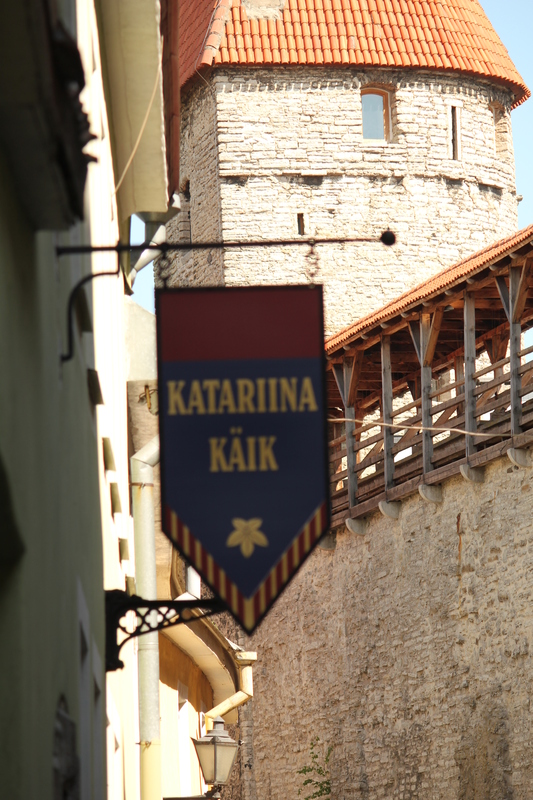 I was one of the first people off the ship and looking forward to visiting the old city centre of the capitol of Estonia. Once off the ship, there is little information centre and craft shops. There are many ways to get to the city centre – a port-sponsored shuttle bus, a Hop on, Hop off bus, a local bus or tram, and it was really only about a 20 minute walk. 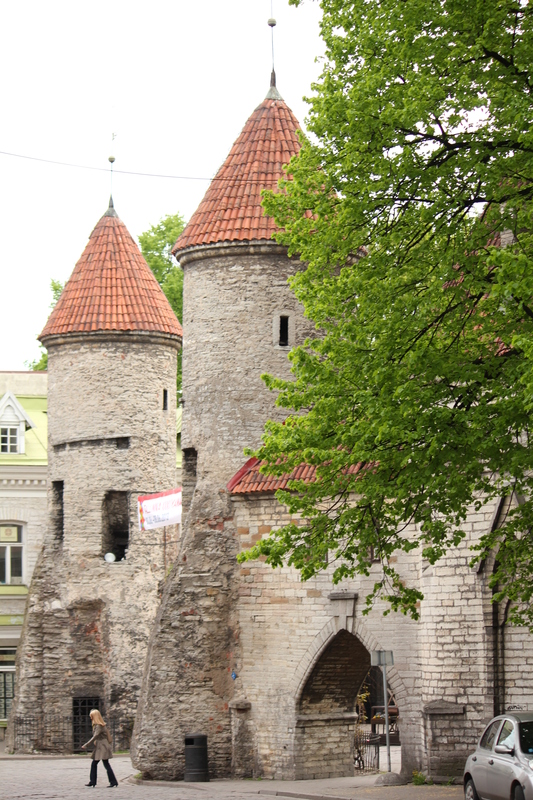 The Information Centre can help you decide the best way and will even sell a Tallinn Card which will get you all day transit and admission to many museums. 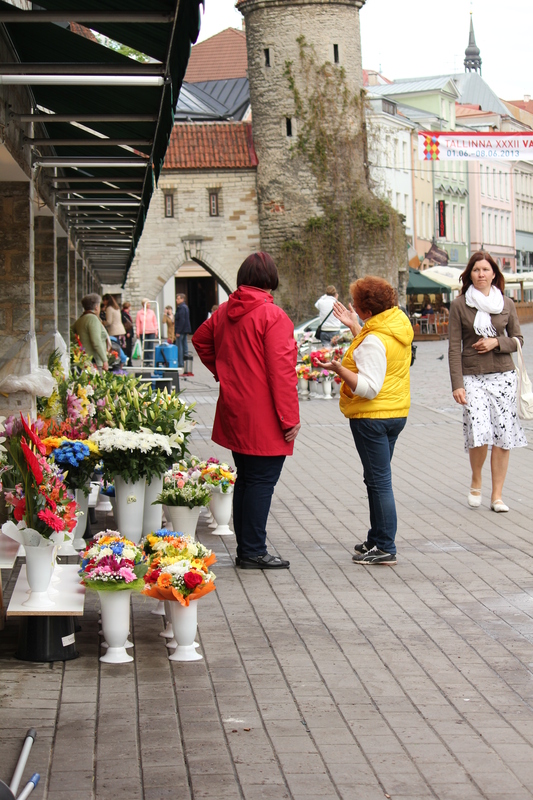 Knowing I would be walking a lot within the city, I opted for the bus which stopped at a flower market just outside one of the gates into the walled city. When I got there people were opening shops and setting things up for the day. It was quiet – a perfect time for walking and soaking in the atmosphere. 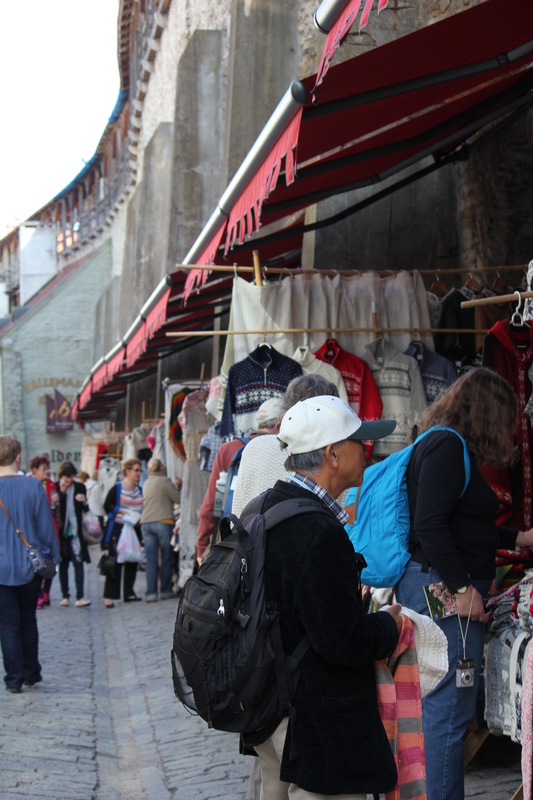 I love wandering through the cobblestone streets and just being drawn to things that looked interesting or different. 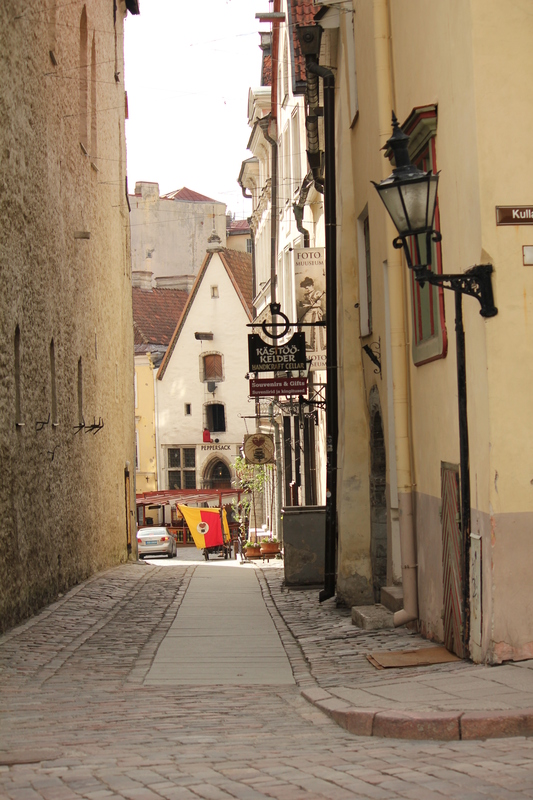 Wandering the nearly empty streets was a wonderfully peaceful start to the day. 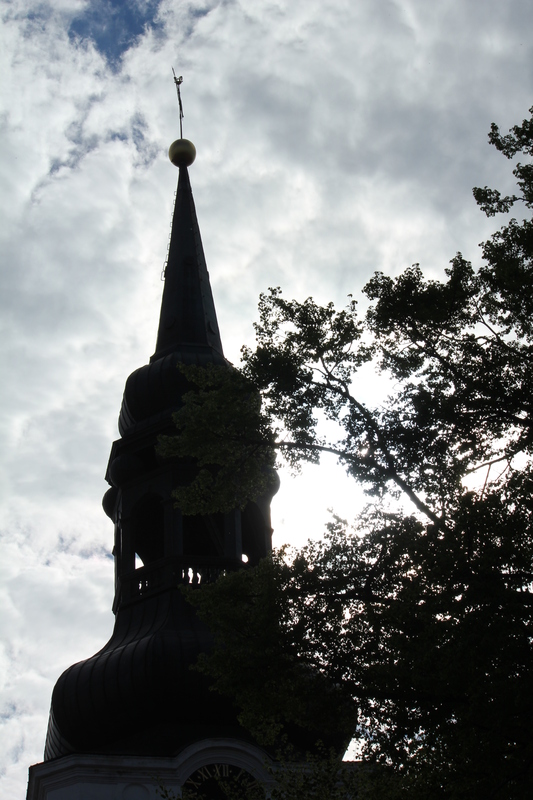 Close to this church is the Cathedral of St. Mary the Virgin, which is also known as Toomkirk (Dome Church). 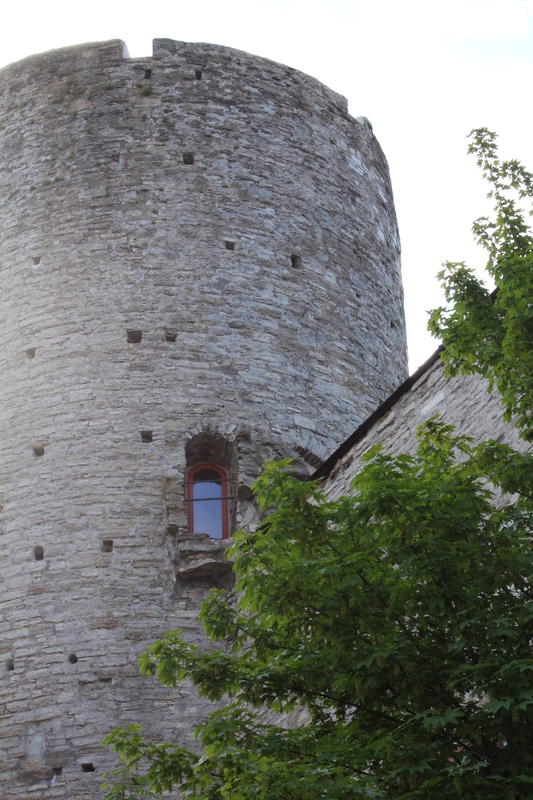 It is the oldest church in Tallinn, dating from 1219. 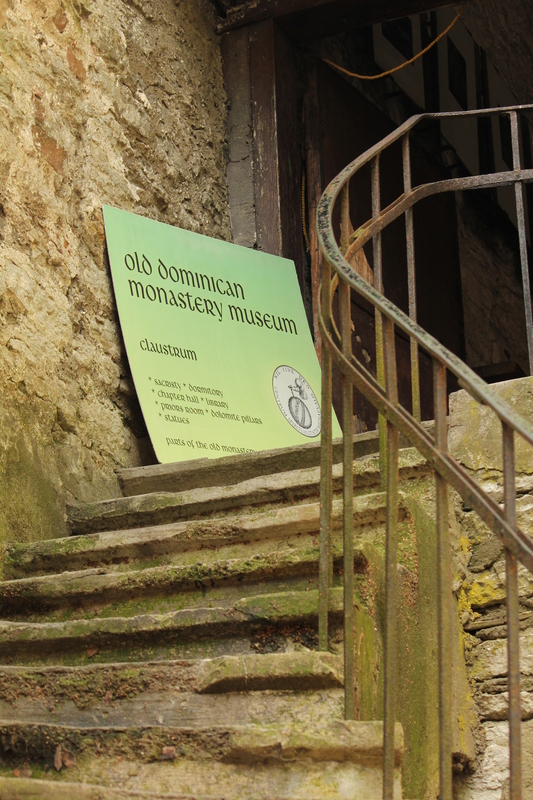 It has several tombs with stone-carvings and a baroque altar. I wanted to spend more time here, but it was getting organized tours for 3 cruise ships were now starting to crowd the streets and churches. 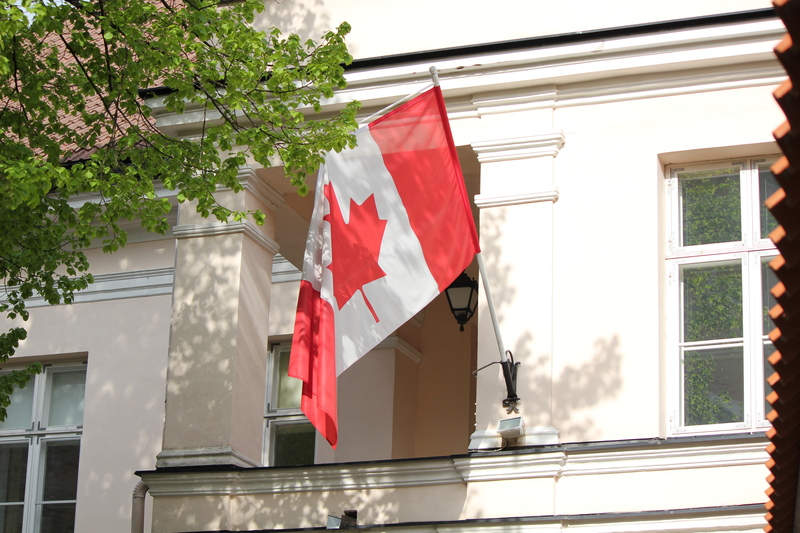 I decided to duck down a side street to get away from the crowds and found a little piece of home – the Canadian Embassy! And what was even better, it was close to the overlook from the wall. 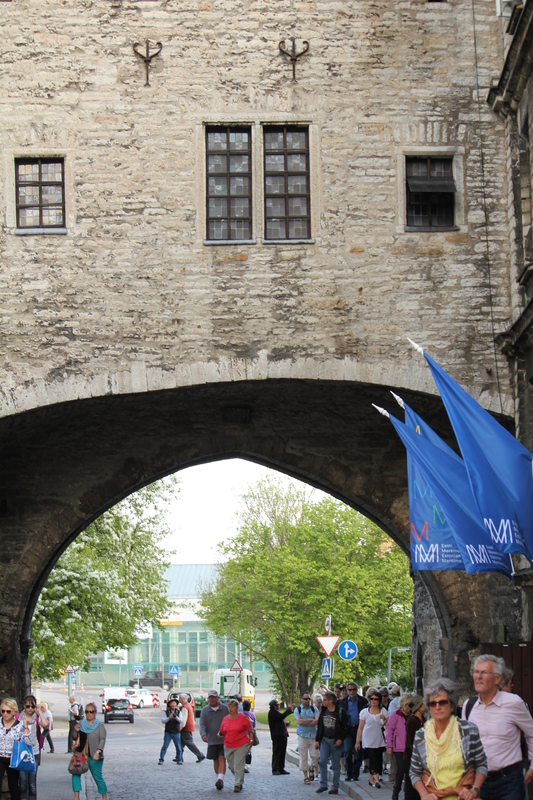 I then just wandered through the streets – and along the walls of the city, finally making my way to the opposite side of the city and close to the Fat Margaret Tower. 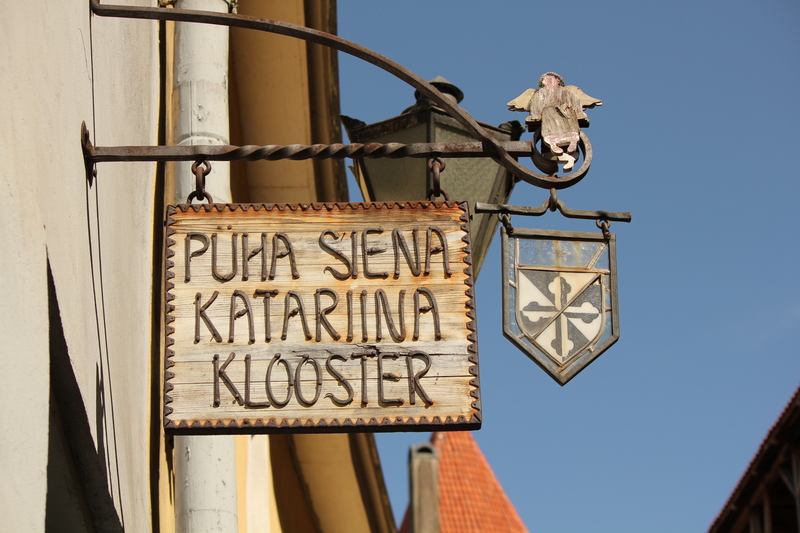 From here, I was discovered I was on Pikk Street – a main street that had several interesting things, including the Oleviste Church, St. Olaf Church, the former KGB headquarters and guild houses such as the House of Blackheads, a merchant’s guild. The rest of my day was spent wandering through shops, grabbing a snack at a café and then heading back to the ship. At the port, I was drawn into the little craft stores for one last look. OK, maybe it was the guy wearing the Viking Horns that caught my eye! 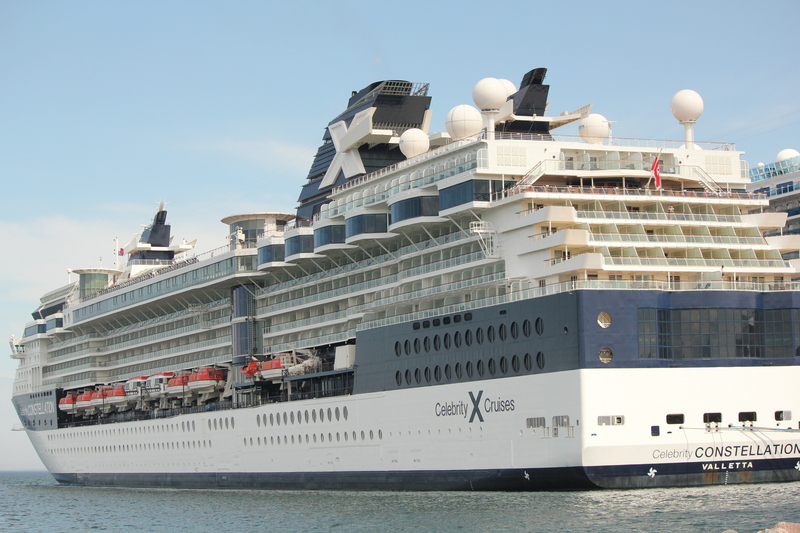 Or maybe it was a good place to take a picture of the Celebrity Constellation. All I can say is that it was a perfect day. 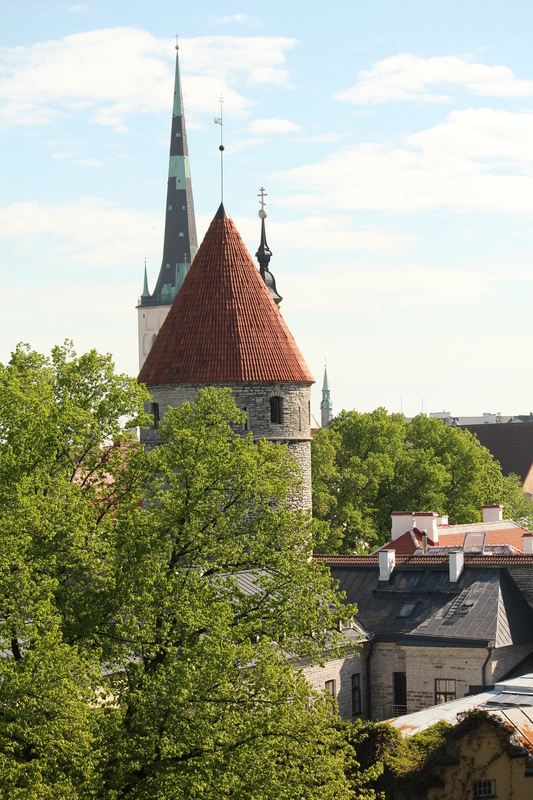 I would recommend Tallinn for so many reasons – but one of the best is it is so easy to do this on your own and just enjoy all it has to offer.